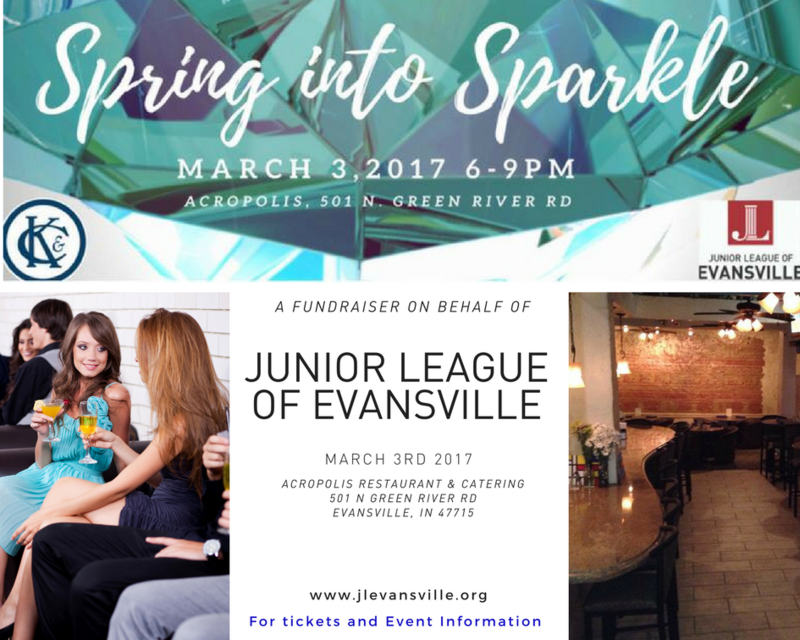 Join us at Acropolis on March 3rd from 6-9pm! Admission is $40 per person and includes appetizers, your choice of salmon or sliced filet along with sides and dessert. Sparkletinis (or your choice of beverage) will be available for $20. Each Sparkletini will have a chance to win a diamond (a $2000.00 value) from Kruckeymeyer & Cohn! Attire is Snappy Casual ~ don’t forget to wear your Bling! Mix and mingle, browse and shop at the Kruckemeyer and Cohn vendor table.